Warning! Be prepared to be wowed! 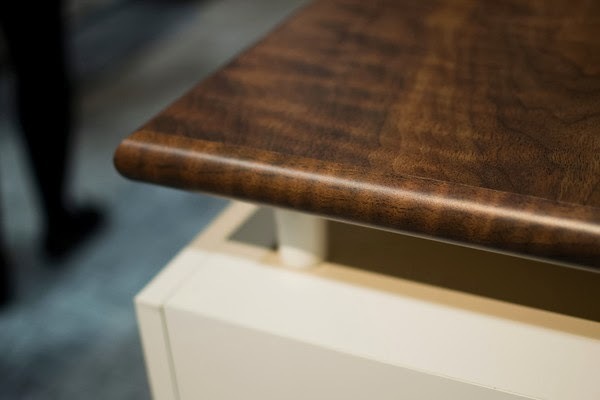 This is not your Mother's Formica! you have about Formica and be open to what you about to see. 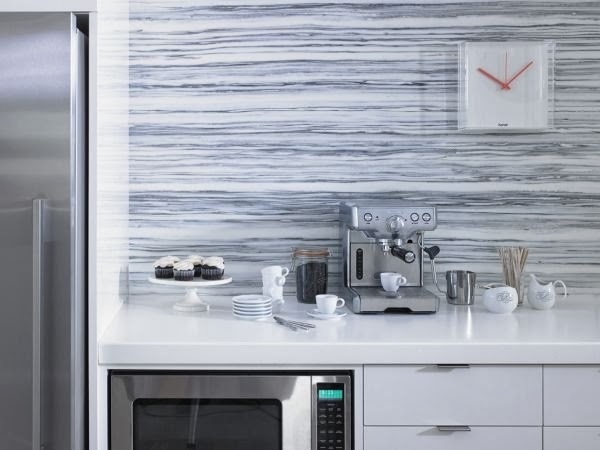 First, lets see how much you know about countertop products already. Is this quartz,concrete or one of each? What kind of granite is this? What kind of marble is this? What kind of wood is this? Is this concrete or stonestone? Is this petrified wood, quartz or stone? 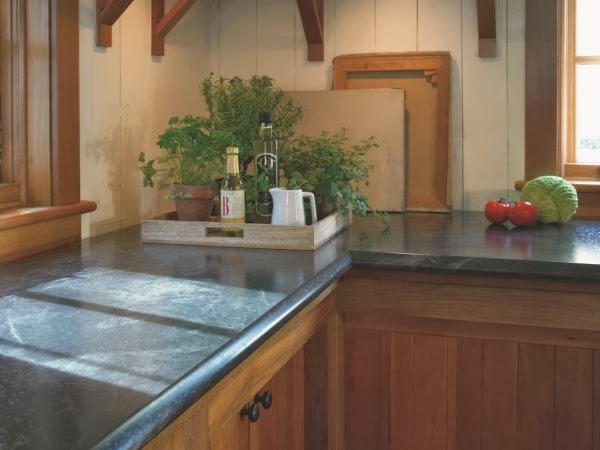 Is this soapstone or granite? Is this travertine or quartz? What if I told you they are all Formica laminates? Would you believe me? 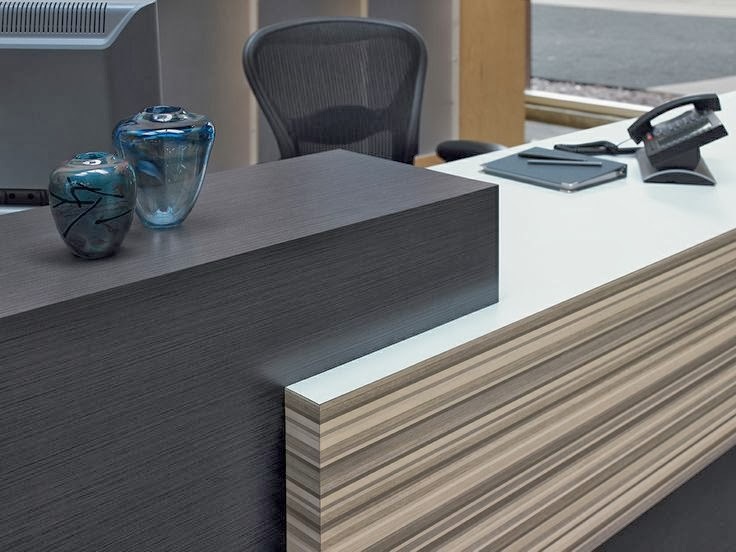 These products have the look of natural stone, wood, concrete and soapstone with the easy care and affordability only Formica products offer. 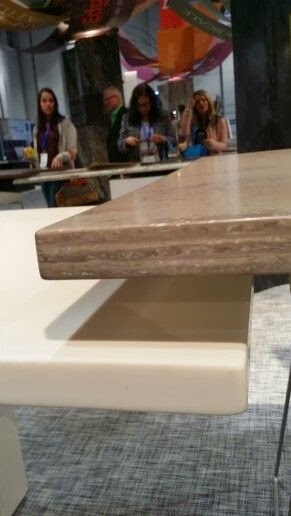 One of the reasons Formica products look so much like natural stone, wood and the other organic surfaces is because of Formica's new IdealEdge™, which is a decorative laminate edge that has the ability to be curved, clipped or 90 degree corner installations. The old Formica products had flat edges and brown seams. This new edge is a game changer. 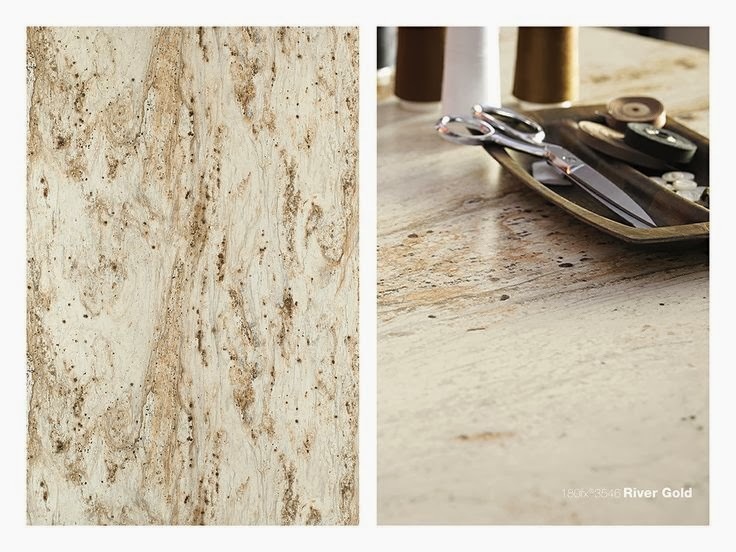 The new IdealEdge™ is available in two versatile profiles just like natural stone fabrication - Ogee and Bullnose. 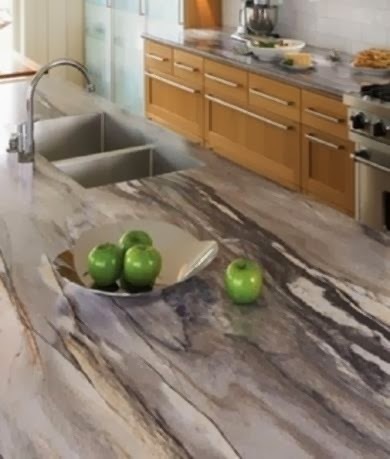 This new edge makes it virtually impossible to tell if the stone is real or laminate without touching the products. 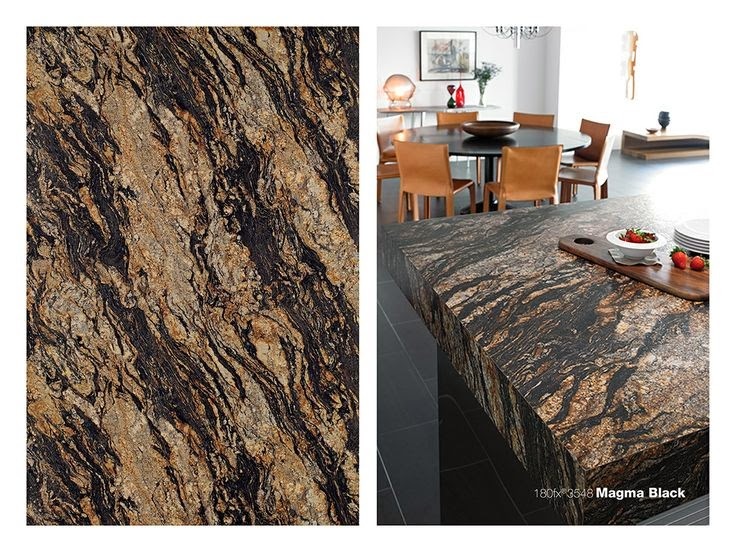 If it looks like stone, but wears like laminate and cost like laminate, which would you prefer? 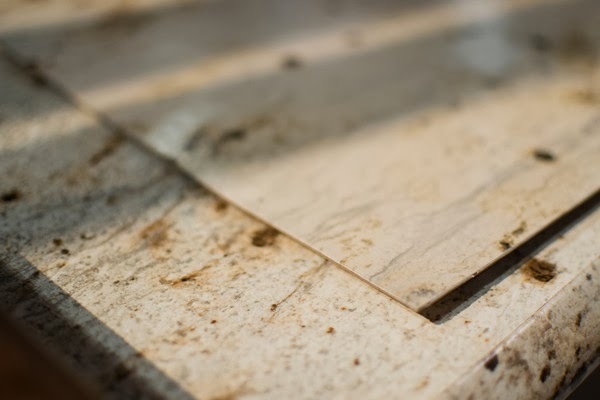 Trends reports from residential homeowner's surveyed are revealing that more and more homeowners are getting away from natural stone and looking for alternatives. 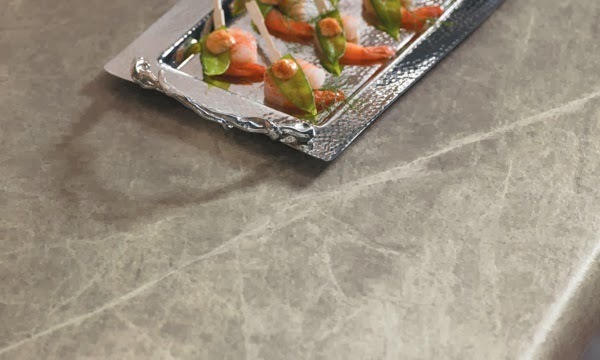 Formica offers a perfect solution to the homeowner who wants another option, but still likes the high end look of natural, stone,soapstone,concrete or wood. 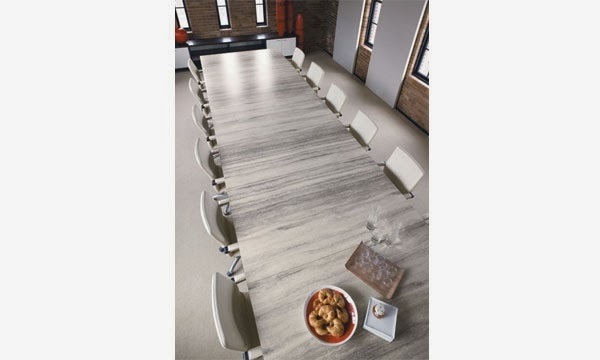 finish enhances the “river-like” quality of the pattern with its light linear movement. 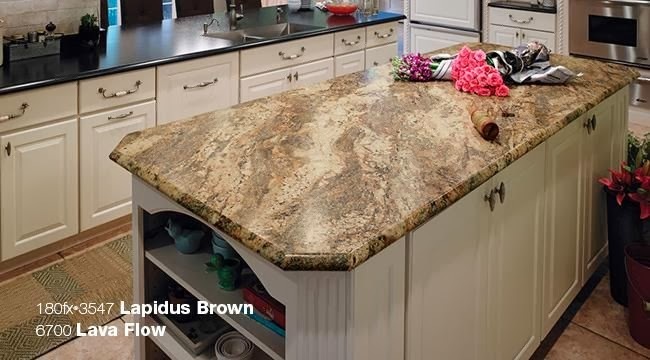 3547-RD Lapidus Brown in Radiance® Finish: A versatile and timeless granite that features vibrant gold tones and rich iron veining highlighted by creamy white crystals and gray and black pebbles. 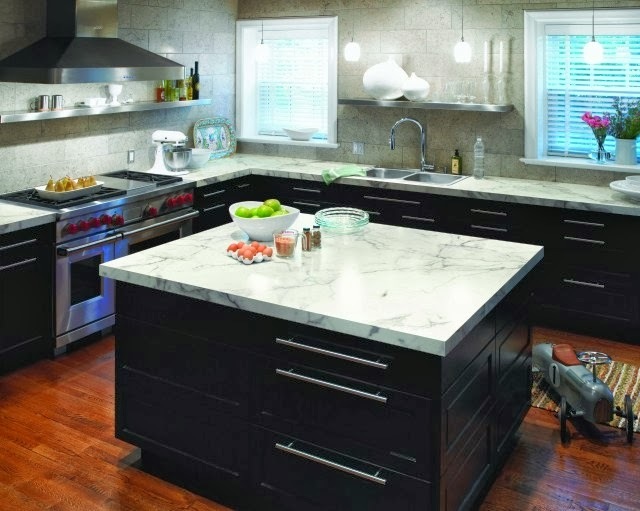 Its rich color palette will coordinate with a variety of cabinetry, from light golden maples to cherry to antique black. The Radiance® finish highlights the crystalline structure. 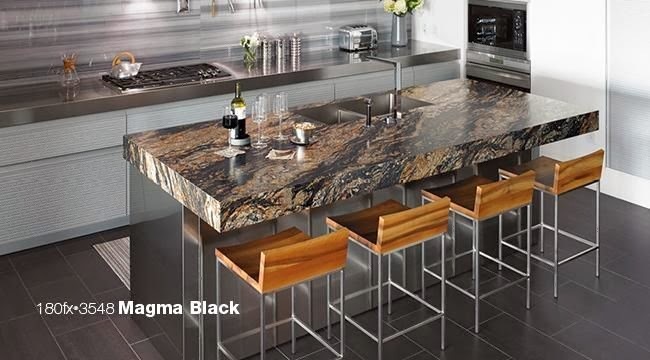 3548-RD Magma Black in Radiance® Finish: A dramatic stone that lives up to its name, each slab appears as if liquid lava has been poured over it. Rivers of gold, gray and rust ― highlighted by pure white crystals ― create a bold pattern. 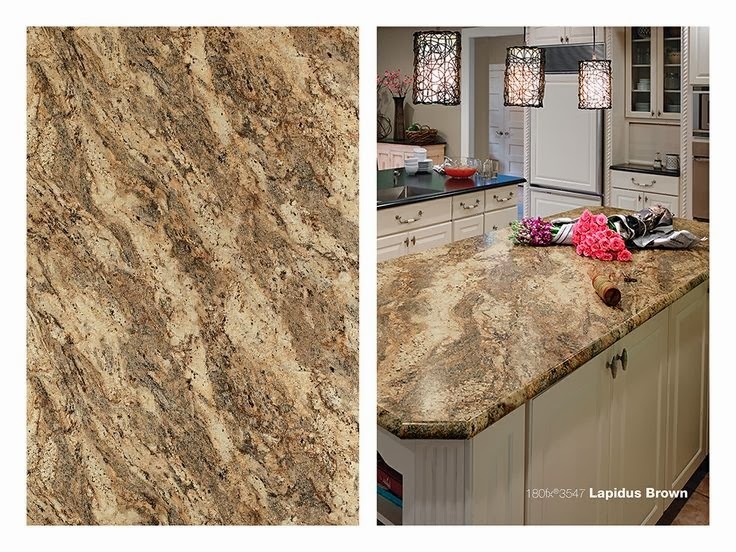 The Radiance® finish deepens the black background and accents the pebbles and crystals. and complements the crystalline structure. all 180fx® patterns are designed to minimize environmental impact. Each pattern is certified under the Forest Stewardship Council (FSC®) and the GREENGUARD Certification Program (including a GREENGUARD Certificate of Compliance Gold). 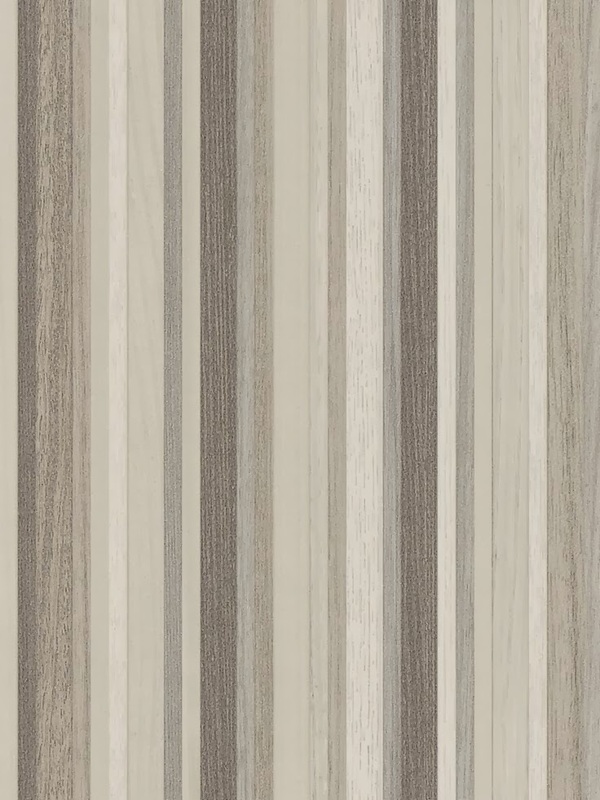 Have you ever wondered how Formica 180fx laminate is made? It's quite advanced digital replication technology which for the first time allows a pattern to be applied over 5 feet of printing material. That allows for a long continuous pattern, without seams and repeats which greatly mimics the look of an naturally organic product. Formica purchases the most expensive products available to digitally photograph in order to achieve the beautiful Formica products they offer? 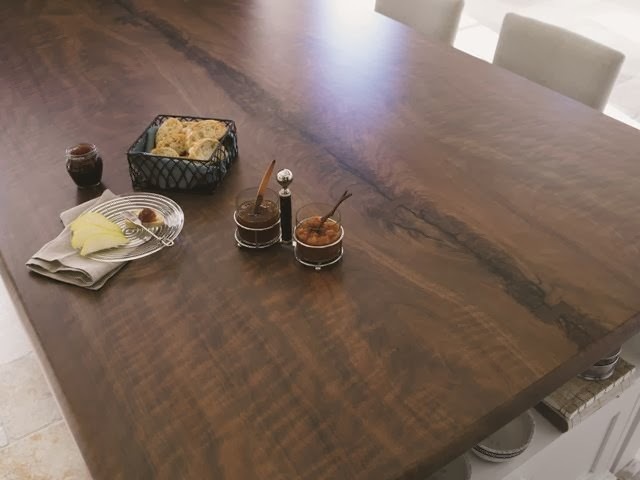 The piece of wood used as a model for the new Black Walnut Timber laminate cost over $12,000.00 alone? So basically, when you purchase Formica products you are getting the look of $12,000.00 product in your house for approx. $21. a sq ft. The best part is you don't have to treat it like it cost a fortune. It's easy to maintain with minimal care. No resealing or polishing required. That's what I call getting bang for your buck! 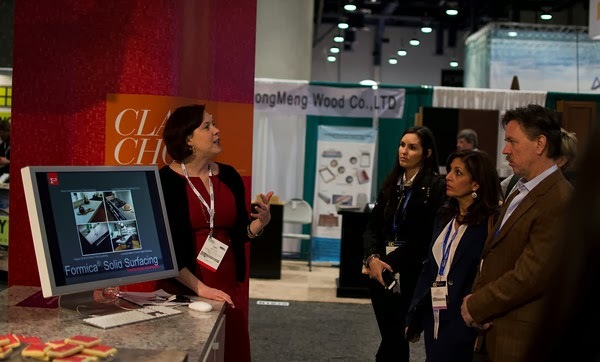 Amy Gath, Vice President of Marketing, led our group through an overview of how the laminate is manufactured and also what Formica's goals when creating the products. There were 7 other new pattern launches as well with Premiumfx™ finishes. 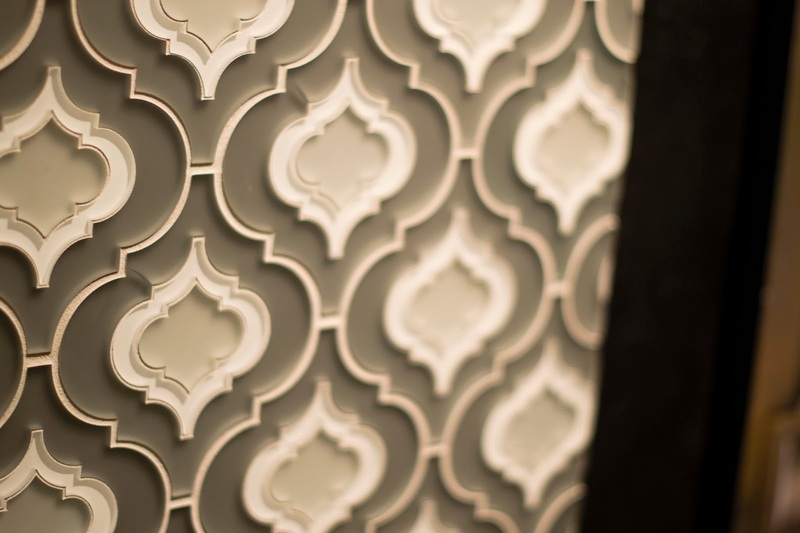 These patterns were created to meet the demand of the three main trends found in the residential market which are Soft Stones, White Stones and Non-Traditional Materials. 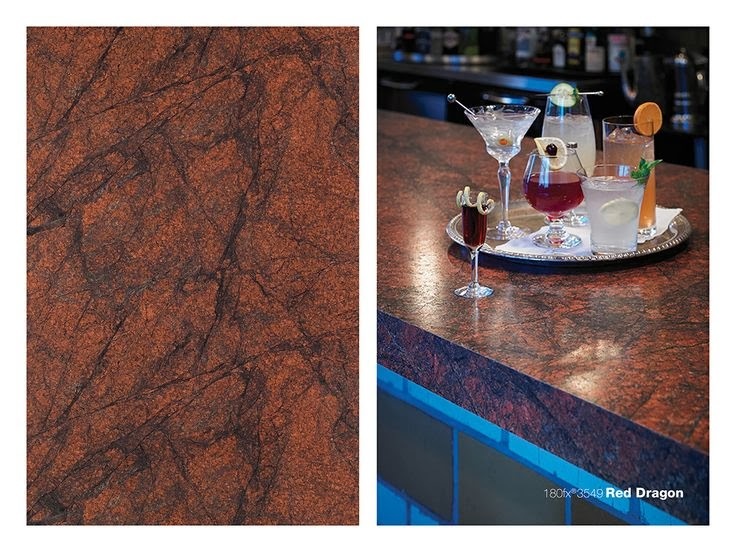 The three trends along with Formica's new products produced to meet those needs are listed below. 2. 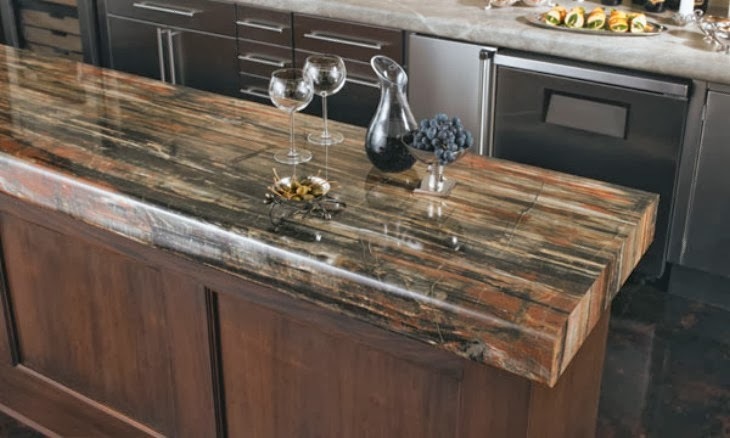 Exotic large scale alternatives - these stones are commonly used for kitchen backslashes, countertops and islands. Like wood, concrete and engineered stone. Also on display was a Formica countertop with an undercount sink. This was done in partnership with KarranUSA. For more details on that visit Formica's blog here. If you are in still undecided about laminate make sure to go look at this undermount sink and read about how it was achieve. It was stunning! fell in love with at KBIS. It is really beautiful. 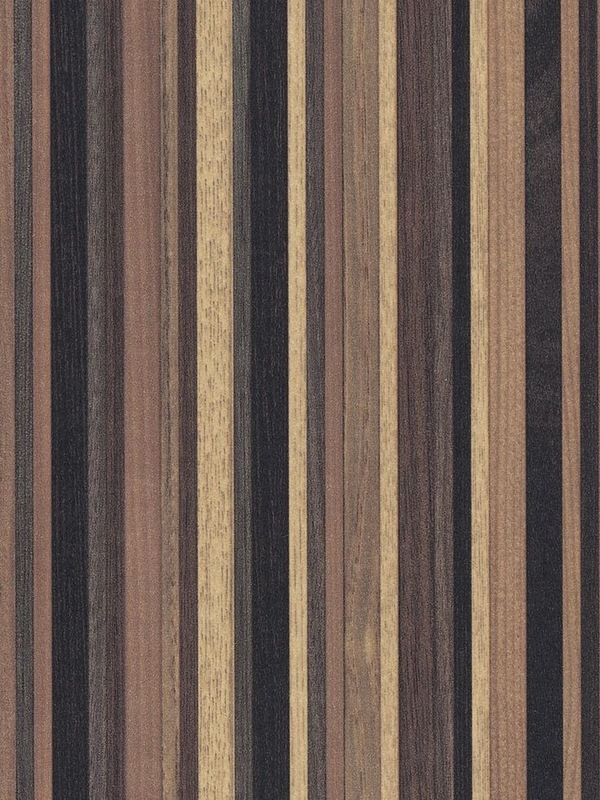 Look at the grain of this wood. If you are into color and need something bright for a project check these out fun colors from their 100th Anniversary last year on their Pinterest board here! So now that you have seen the products, I ask you? 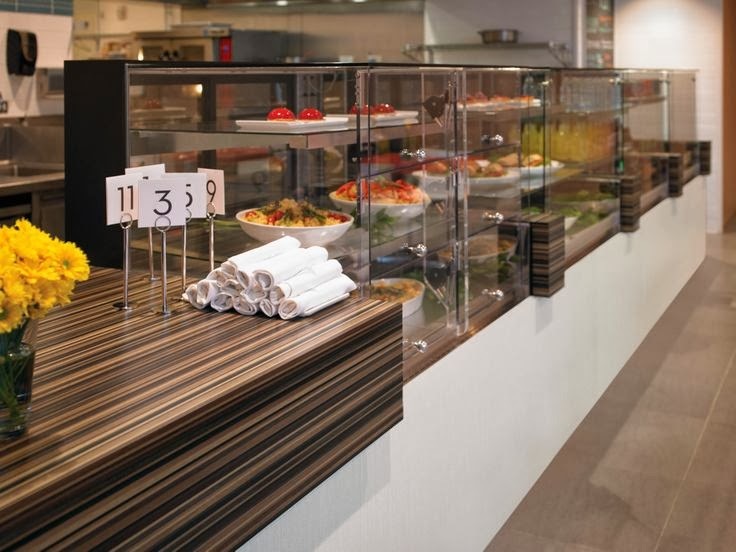 Formica offers amazing products for a fraction of the cost with ease of care and long time beauty. 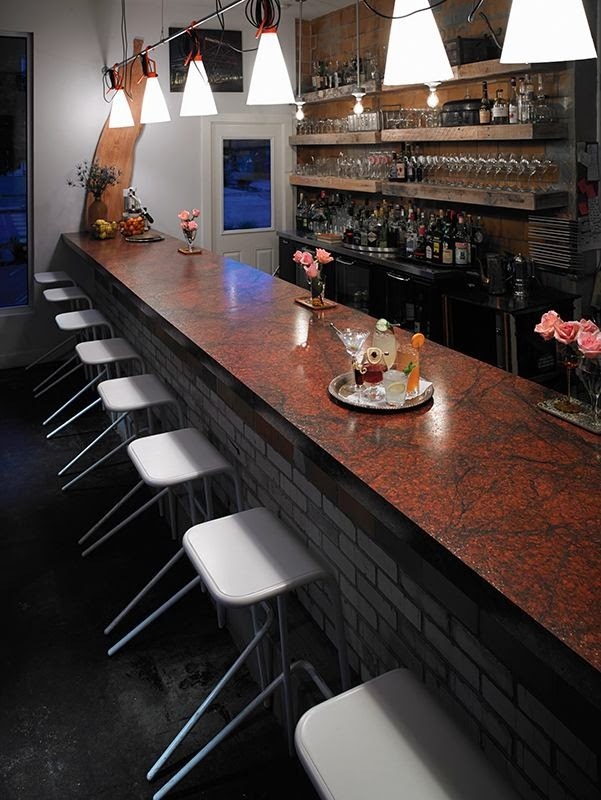 Will you consider Formica for your next project? click here then report back to me what your favorite it and if you are surprised at what you found! I'll bet you will have a hard time choosing just one! 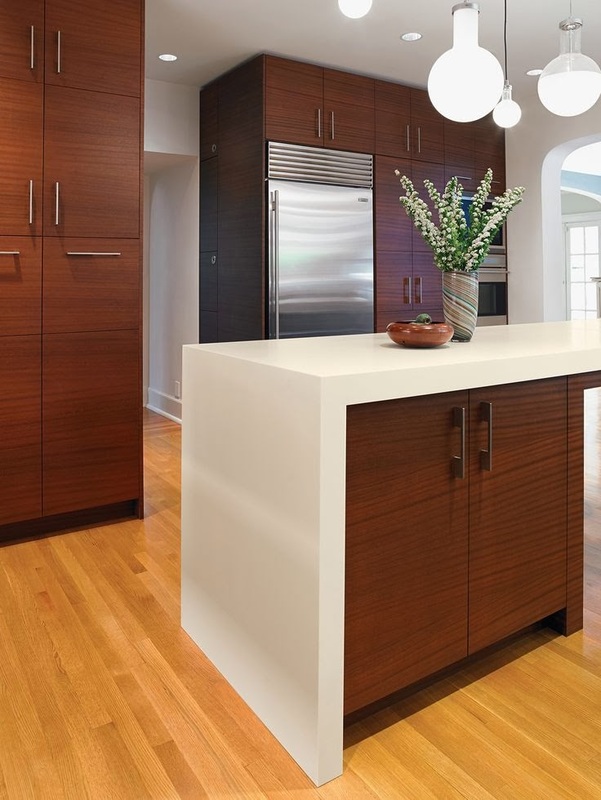 Formica products are available through national home centers, such as Lowe’s Home Improvement and The Home Depot, as well as independent kitchen and bath retailers. 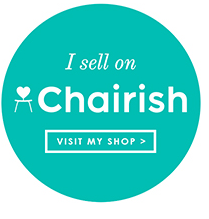 Customers can search by zip code or city on Click Where To Buy Here to find their nearest retail location. 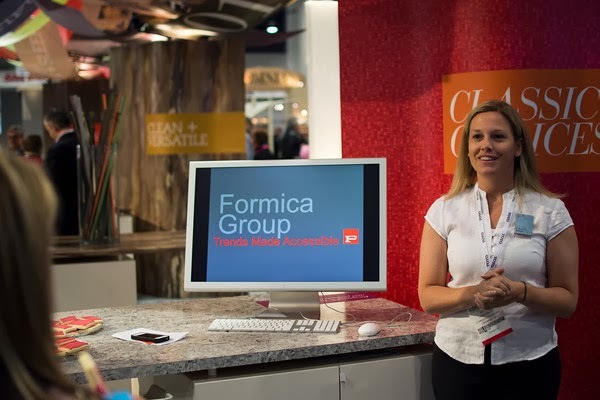 Thank You Laura Phillips, Amy Gant and our friends at Formica for our informative visit to your booth at KBIS. This is a sponsored post in collaboration with generous BlogTour sponsor, Formica. 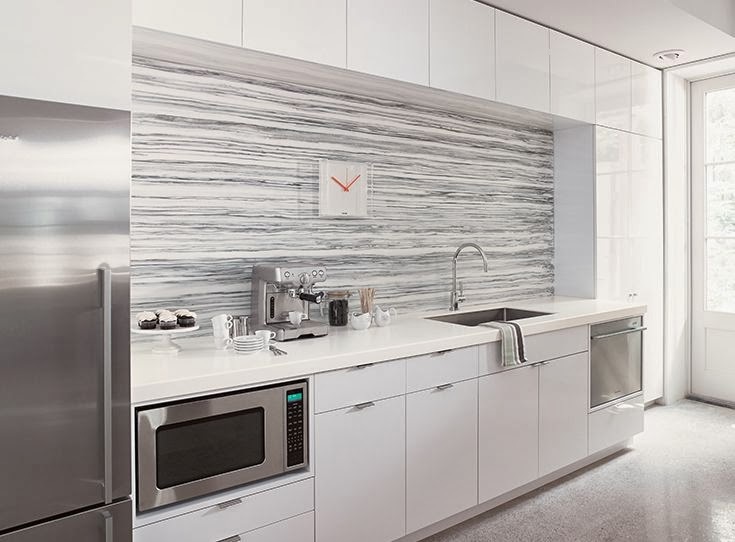 Founded in 1913, Formica is a global leader in the design, manufacture, and distribution of innovative surfacing products for commercial and residential applications. All photo are property of Lisa Mende Design or were used courtesy of Formica unless noted. These photographs are not to be used without written consent. 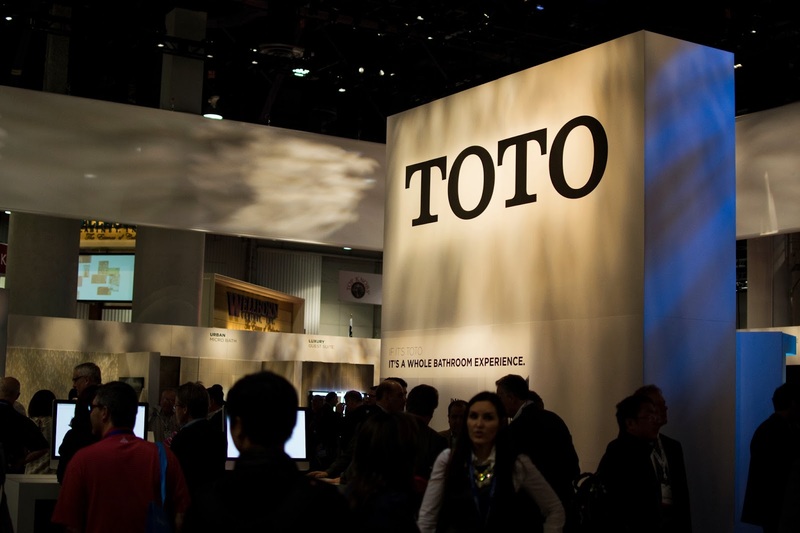 Don't forget to Enter the TotoUSA Contest…. Click to Enter to Win the Toto Waterlet s350e!!!! name, email, etc where appropriate!! Register to win today! 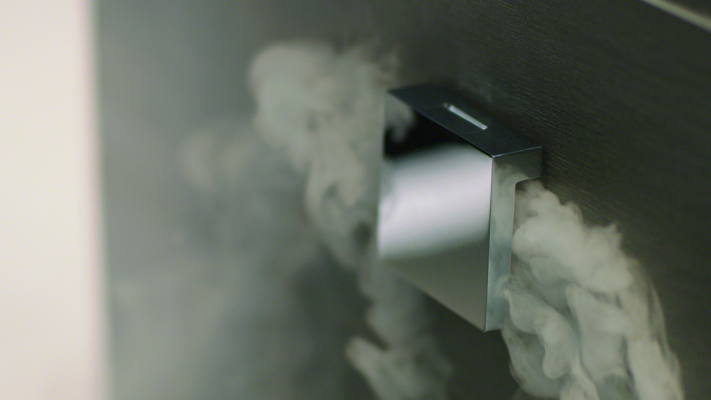 MR STEAM TURNS YOUR HOME INTO A SPA! 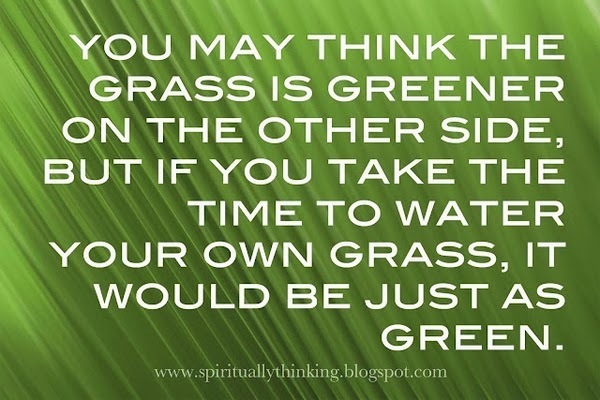 When I was younger I was really guilty of comparing my life to others, but as I have gotten older, I have come to realize that we must take responsibility for creating the lives we wish to live. One of the gifts of getting older is gaining wisdom about how we want to live and what is important in our lives. Some people call it getting "set in your ways", I call it realizing how we want to live. 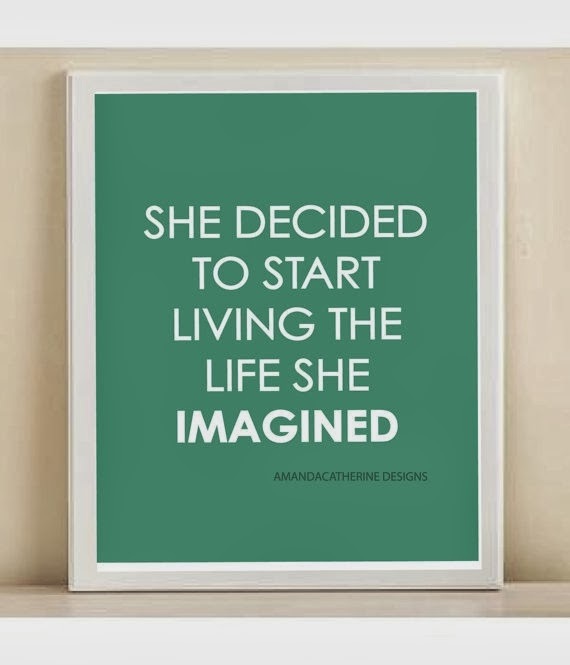 The good news is you don't have to wait til you are older to start living the life of your dreams. Which brings me to an important topic. Is your home your oasis? Do you feel relaxed when you enter your door? Do you have a place to get away from the world and rejuvenate. You are probably saying "that's what a spa is for!" And right you would be! But what if I told you for the cost of several visits at the spa, you could have a spa like experience in your own home, anytime you want it? With Mr. Steam you can! Now I can hear you are saying, " but I don't have a big house." Did you know that all that is needed for a steam shower in a space that is only 3'x3'x7'? That's right, it doesn't take a lot of space. My own bath isn't very big, but I'm currently making plans to install a Mr. Steam shower in my bathroom. It's so simple to do. To get started visit Mr. Steam website and enter your dimensions here. Then contact me if you are in Charlotte, or your local design professional or Mr. Steam directly to build the spa of your dreams. Why do you want a steam shower? Are you aware of all the benefits steam offers? Not only does it hydrate your skin but also removes toxins from the body, which can in turn boost your metabolism. Not to mention it is so dang relaxing. with allergies and help ward off sinus infections and colds. 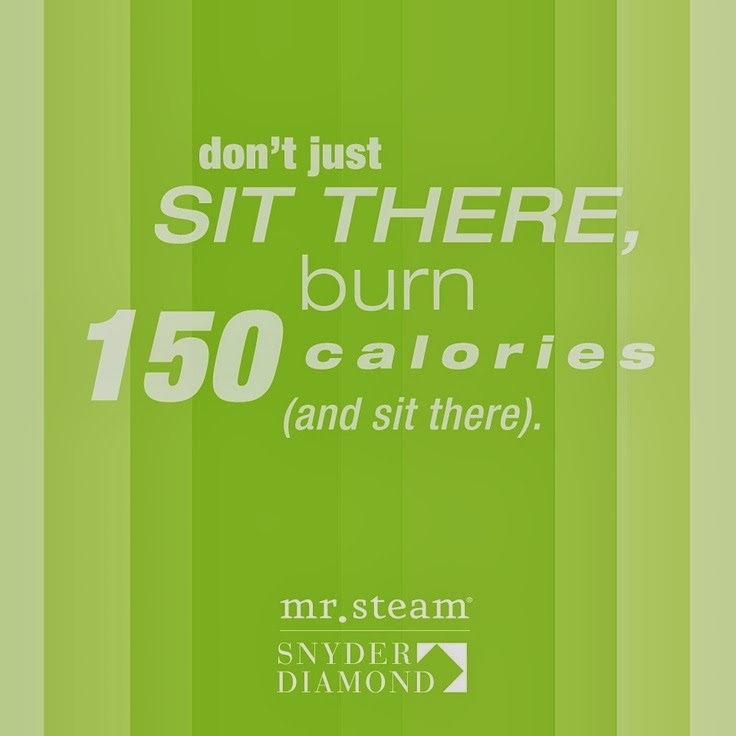 Yes, that's right, you can burn 150 calories just sitting in a steam shower! My favorite Mr. Steam product is the iSteam. It's so simple to operate. It allows you to adjust the temperature, lighting, music and aromatherapy all with just one finger touch control panel that is almost flush- mounted on your shower wall. Think "iPhone easy" to use. Watch the video below and see for yourself how amazing this product is. Are you ready to turn your shower into a spa? I know I am. My own is about to happen! I'm so excited! My clients who have installed Mr. Steam sing it's praises almost every time I see them. I commonly hear, "I didn't know how much I would enjoy having a steam shower" and "I'm so glad you suggested it". Take my advice and get your own Mr. Steam today! You will wonder why you didn't have one sooner. 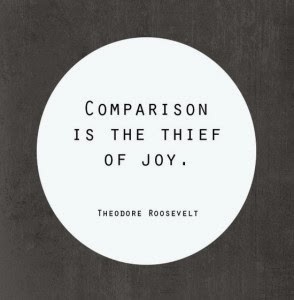 I challenge you to start living a better life today with Mr. Steam! This blog post was written in collaboration with Mr. Steam and Modenus. Mr. Steam was a sponsor of Blogtour Vegas. All opinions are my own. I have to run because every Monday at noon Mr Steam does the Monday mambo to get the week moving. Won't you join us? You can stand up at your desk and dance along! Make sure you tweet Mr Steam on twitter and let us know you did and if you are feeling really adventurous make a video of your Monday Mambo!!! for a e350s Waterlet $1700 value. 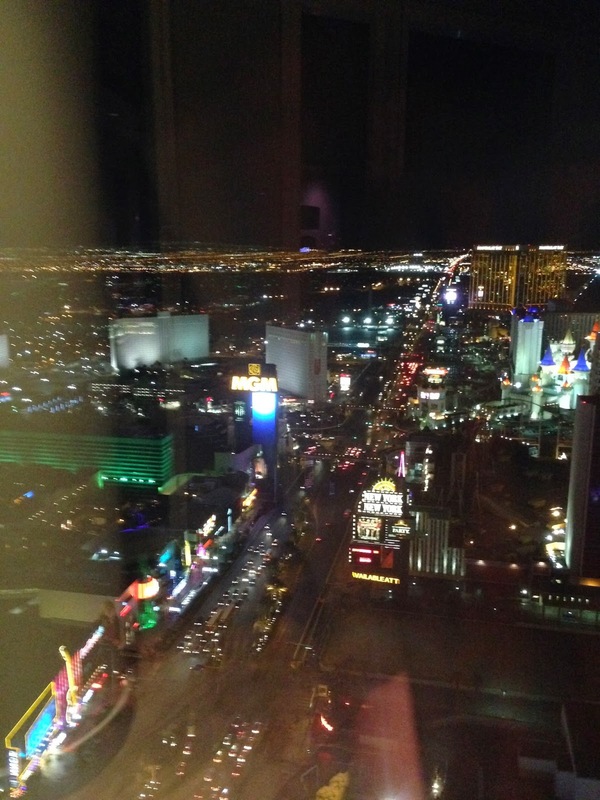 Who wouldn't enjoy the glitz and glamour of an spectacular view of the Las Vegas Strip? Stir in amazing cocktails, chef prepared specialities, served in stunning interiors outfitted in with top of the line luxury furnishings,appliances,cabinetry and you have the perfect recipe for an elite night on the town, hosted by Sub-zero/Wolf and Poggenpohl for Modenus Blogtour Vegas along and other lucky guests. ToTo USA = Royal Flush! TOP KNOBS = TOP DRAWER HARDWARE CHOICE! 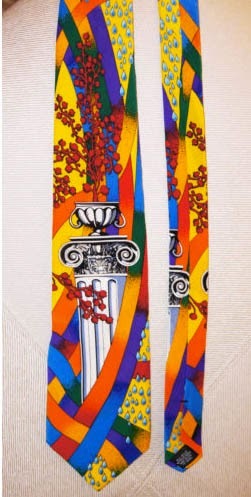 Ok, did you know that Rush Limbaugh created a tie line in the 90's? Neither did I, but it has been a source of laughter in my household, since discovering this obscure fact. If I had only known about these ties early enough, I think there might have been a few given as Valentine's Day gag gifts. I like to keep my blog upbeat and honorable, so I'll leave you to decide what you think about Rush, I'm not going there but his ties can speak for him I think! Teehee!! Holy Taco describes the one above as "what you see when you mix vicodin, oxycodone and vodka, while you're lost in a hedge maze." Dear Walker Zanger....Will You Be My Valentine? I know we have known each other for a quite long time, but I have a secret I have never shared with you! I am actually madly in love with you! There I said it! Yes, it is true! I just returned from Las Vegas and my second tour with Modenus Blogtour. I had an amazing time at KBIS. I had great intentions of reporting from Vegas daily, but our third day was so busy, that I fell off the writing wagon and I am just now getting back on. Veronika Miller, owner and creative visionary of Modenus, once again curated an amazing group of designers, architects and industry professionals for this trip. We ate fabulous food, saw amazing new products at KBIS and enjoyed learning more about our sponsors. 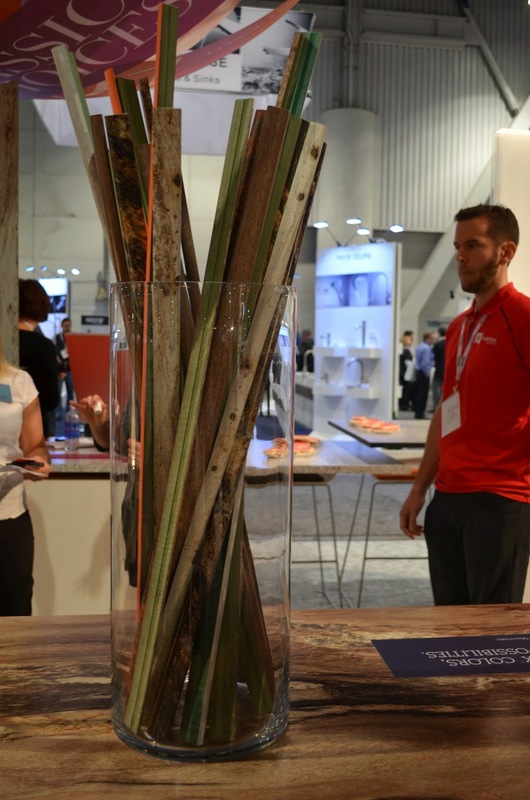 This was my first time to KBIS ,so I really didn't know what to expect. I'm here to report it was a must do for any designer in the kitchen and bath industry. If you design kitchens and bathrooms you have to put KBIS on your 2015 calendar. 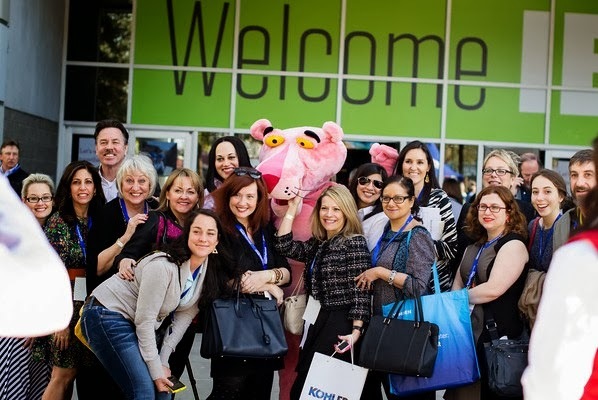 This was the first time that KBIS(Kitchen & Bath Industry Show) and IBS (International Builders Show) combined to co-locate creating a joint event called Design & Construction Week. "Talk about killing two birds with one stone." This was a brilliant move and resulted in a record crowd of over 77,000 attendees in the Las Vegas Convention Center. It felt good to see so many people anxious to see new product. The general consensus among attendees and exhibitors is that the economy is finally recovering. Yay! It's Here! It's Finally Here! Congratulations Brandon Smith for a job well done! new magazine pop over and check it out! Fabulous!!! Day 1 BlogTour Is About to Begin! ON MY WAY TO BLOGTOUR LAS VEGAS & KBIS I THINK?